Fresh from a successful UK arena tour supporting Frank Turner, Leicester-born protest singer, LGBTQ+ activist, folk singer, socialist and social commentator Grace Petrie announces her own headline tour through Spring 2019. Grace has been writing, recording and touring relentlessly, racking up tour supports with Emmy the Great, Billy Bragg, Frank Turner and more, and has also made her mark in the comedy scene supporting comedians Robin Ince and Josie Long. She’s appeared at Glastonbury four times at the invitation of Billy Bragg, as well as an eclectic genre-crossing mix of festivals Latitude, Musicport, Bliss-fields, Shrewsbury Folk Festival, Greenbelt and more including of course Cambridge Folk Festival. She has collaborated with some of the most respected names in folk, including Leon Rosselson, Roy Bailey and Peggy Seeger; quietly becoming one of the most respected songwriters working today. A frequent guest on BBC Radio 4’s The Now Show, Grace has appeared on Channel 4’s Random Acts, had plays on BBC 6 Music and BBC Radio 2 and has been featured in The Guardian, The Independent on Sunday’s 2013 Pink List of influential LGBT figures; and been nominated for Diva Magazine's 2018 Activist Award. The tour starts in Ireland on 12th April and concludes with an appearance at Bristol Folk Festival on 4th May. The Rustic Folk, Acoustic & Roots music festival is returning for its second year. It will be held on Friday 26th and Saturday 27th April at Hopley's family campsite, Bewdley, Worcestershire. There are two stages – the main stage is in a marquee and a second acoustic stage in The Rustic (pizzeria and bar) – the music alternates between stages so that you won’t miss any. It is a small festival with a friendly atmosphere that draws acts from all over the country – Saturday’s headliners are Ushti Baba, a Bristol based band meshing European Folk with Jungle, DnB and Dubstep Rhythm – as well as featuring local bands such as the very talented Arcadia Roots with their haunting and driving rhythms. Good food and quality beers and ciders will be in plentiful supply. Weekend tickets and day tickets are available now, with no admission charges for accompanying under 12’s and dogs. This year’s headliners for the Friday night are the amazing Nick Parker feat. Ben Wain and on Saturday night will be the incredible Ushti Baba. Completing the line-up are Doorbells, The Endings, Eva Perrin Fontana, The Fox and The Pirate, Jack of All, Jess Silk, Les Carter, Mercurius Rising, Ren Stedman, Sadie Horler, Samantics, Small and Gold, Son Of Stan, Stevie Simpson, Terry Faulkner, Tim OT, Two Man Ting and Warren Ireland. Maverick Festival is renowned for showcasing the most authentic and talented musicians from both sides of the Atlantic, and this year is no exception! Over the past decade, organisers have stuck to what they believe in, presenting exciting and inspiring line-ups year after year. Recent additions to the festival line-up include London based five-piece DANA IMMANUEL & THE STOLEN BAND; a banjo-whacking, guitar-shredding, fiddle-sawing, foot-stomping, whiskey-soaked, all-female outfit! Since 2014, they have been delighting crowds spanning the blues, rock, Americana, indie, folk and country scenes with their high-energy live show and utterly unique brand of musical badassery. Next up, we welcome transatlantic psychedelic rock & roll combo ONE ELEVEN HEAVY - who will be bringing cosmic Americana and hard rock exploratory jams, to this year’s festival line-up. We also welcome the return of the queen of Southern gothic rock HANNAH ALDRIDGE. Hannah will bring the blues from the Mississippi Delta to the dusty, dixieland jazz of New Orleans. RICH HALL will also be there, presenting his Hoedown show. “This year we are pushing the musical boundaries of Americana even further with the addition of some classic Cajun and a Friday night focus on bluegrass," said curator Paul Spencer. Fairport's Cropredy Convention three-day open-air music festival will celebrate its fortieth anniversary in 2019. The organisers have announced many of the acts booked for next summer’s event which will take place on Thursday 8th, Friday 9th and Saturday 10th August. The remaining acts will be announced in January 2019. Host band Fairport Convention will open the festival on Thursday 8th August with an acoustic performance then take the stage again on Saturday to play a two-hour headline set. Thursday’s headline act will be The Waterboys whose potent performance makes them one of the UK's most exciting live acts. 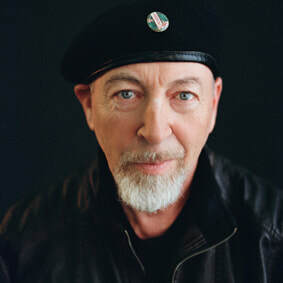 Former Fairport member Richard Thompson will appear with his erstwhile bandmates Dave Mattacks, Dave Pegg and Simon Nicol. Frank Turner will headline on the Friday. Award-winning Martin Simpson, one of Britain’s greatest acoustic guitarists, makes his first appearance at Cropredy. Fresh from a world tour with Robert Plant, Seth Lakeman returns to Cropredy after a ten year absence. Celebrating 50 years of Jethro Tull’s music, Martin Barre’s band includes the original Tull drummer Clive Bunker and long-time bassist, Jonathan Noyce. Pioneers of Canterbury’s prog rock scene, Caravan will be making their Cropredy debut.Scottish singer-guitarist Zal Cleminson’s /sin’dogs/ are a new high-octane prog-metal band. Daphne’s Flight features five female singer-songwriters; Christine Collister, Melanie Harrold, Julie Matthews, Helen Watson and Chris While. Will Pound and Eddy Jay are, respectively, among the UK's finest harmonica and accordion players. Award-winning female trio Wildwood Kin play contemporary indie-folk characterised by spellbinding family harmonies. Lil Jim, Tors, The 4 of Us, Wilson & Wakeman, Richard Digance, Tide Lines and Zal Cleminson’s /sin'dogs/ complete the line-up. Steve Harley & Cockney Rebel and Los Pacaminos featuring Paul Young are among the headline names at this summer’s Gate To Southwell Festival in Nottinghamshire (June 6th to 9th). Joining an eclectic international line-up that already includes Sam Kelly & The Lost Boys (pictured), Skipinnish, Nancy Kerr, Blue Rose Code, Gordie MacKeeman & His Rhythm Boys and many more brilliant folk roots and acoustic music artists, Paul Young - one of the UK’s best-loved vocalists (“Wherever I Lay My Hat’, ‘Love Of The Common People’, ‘Every Time You Go Away’) - has been the charismatic front-man of the highly-entertaining Tex-Mex show band Los Pacaminos since 1993. Steve Harley, famous for worldwide hits such as ‘Judy Teen’, ‘Mr Soft’, ‘Sebastian’ and ‘Make Me Smile (Come Up And See Me)’, has been producing great albums for over 40 years. Both play Southwell for the first time. This year’s festival kicks off with a wildly western theme on Thursday June 6th. A host of top Americana acts will get the party started at Southwell Racecourse. Topping the bill will be Los Pacaminos and supporting them, tall in the saddle, there’ll be the award-winning young Californian bluegrass band Blue Summit, featuring acclaimed female vocalist AJ Lee and guitarist Sullivan Tuttle, plus last year’s festival favourites, Truckstop Honeymoon from New Orleans. Also returning will be rootsy rock & roll Californian Joshua Cook. Building on this theme, Gate To Southwell will also be marking the 50th anniversary of the famous Woodstock Festival of Summer 1969; a specially created 'house' band plus guests will perform iconic songs from the ground-breaking “peace love and music” festival. Plus there’s Sunjay Brayne’s Tribute To Buddy Holly and a special Continental celebration featuring diverse European acts such as Mallorca’s brilliant BOC, Spanish Basque folk dance band Korrontzi, Austria’s acclaimed Hotel Palindrome, the beautiful Dutch harmonies of SYA (Suddenly Years Align) and French-born favourite Flossie Malavialle. Over the four days, Southwell will present a perfectly eclectic mix of more than 50 roots, World, acoustic and folk acts across four stages plus ceilidhs, dance sides, comedy, street theatre, poetry and top class children’s entertainment (including the return of genius juggler Dan The Hat). An evening of original, contemporary and traditional music from FATEA-nominated Kim Lowings, folk and roots trio Town Musicians of Bremen and singer-songwriter Mike Weaver is set for Tewkesbury on Friday 21st June. It's the third event of its kind to take place in the intimate setting of the fifteenth century Old Baptist Chapel, which is tucked away in the heart of this historic Gloucestershire town, near its famous abbey. With The Greenwood, Kim Lowings has firmly rooted herself into the British folk scene. Their sound is “punchy and authentic” (Mike Harding) and cleverly combines original songs with familiar traditional tales highlighting the continued relevance of tradition today. Kim will be performing as a duo at this event. Town Musicians of Bremen are Andrew Lowings (Bouzouki, and Kim's father!) Leon Gormley (Guitar & Cittern) and Lewis Jones (Nyckelharpa & Melodeon). They play with soul, humour and dexterity, producing sounds which are equally traditional and contemporary, and immensely enjoyable. They have been making a name for themselves at festivals and in folk clubs over the past three years. Mike Weaver is a singer-songwriter from Worcestershire who is known for his self-penned songs which "exude beautiful harmonies, clear story telling and a passion for people," who has been the driving force behind the 'Folk Trebles' since 2016. From its opening parade on Friday 19th October led by Soznak & Runaway Samba Fire Jugglers & a junk instrument orchestra through to the final concert on 26th October with Martha Tilston as part of its village tour, this year’s Musicport festival (the 19th) was a resounding success. Main stage performances by Blackbeards Tea Party, Zimbabwean band Mokoomba, reggae artist Natty, Malian star Vieux Farka Toure, Swedish band Kolonien & the uniquely wonderful Tankus The Henge were particular highlights. Standing ovations for Jasdeep Singh Degun Quartet, O’Hooley & Tidow & The Angel Brothers in the theatre proved that this more intimate stage had much to offer whilst John Hegley, Two Man Ting, Doomfolk, Mackie, Simon Wood & Tamara, Friends Of The Family all found really appreciative audiences on the smaller stages. Throughout it all the DJs in the hub kept a great vibe going and with their special guest Adrian Sherwood proving a great late-night success on Saturday. Blessed with great weather over most of the main weekend, sitting outdoors between acts and the sea dip for charity on Sunday proved popular too. Heading into its 20th year Musicport is hoping to bring together next October a stellar line-up of some its favourite acts alongside some acts who it has long wanted to bring to Whitby. The dates for 2019 are 18th-20th October. Bristol's burgeoningever-popular Downend Folk Club has announced its programme for Summer 2019. There's something for everyone on the third Friday of every month between May and July, ticking every box in the broad church that is the folk genre, from astute observational song-writing through to traditional English folk songs and tunes. ﻿Kicking off the programme on Friday 17th May, is The Dovetail Trio Presenting England's traditional songs with a bold and fresh approach, the band explores familiar narratives with infectious energy and a passion for musical heritage. This collaboration effortlessly combines the distinctive voices and acclaimed instrumental talents of BBC Radio 2 Folk Award nominee Jamie Roberts, BBC Performing Arts Award winner Rosie Hood, and Newcastle Folk Degree alumnus Matt Quinn. They release their second album this May. The evening's entertainment will get underway with a set from fast-rising local four-piece Road Not Taken. The June event, on Friday 21st, will be headlined by Kitty Macfarlane, one of the most exciting singers to emerge on the scene in recent years. Kitty, who has twice performed the support slot at Downend Folk Club, is a songwriter and guitarist from Somerset, whose music is rich with visual imagery and written with an eco-eye. Her highly anticipated debut album Namer Of Clouds, released last September, gathers inspiration from the sky to the seabed. Opening for Kitty will be hotly-tipped Bath-based guitarist and singer Louis Campbell. Rounding off Downend's Summer programme, on Friday 19th July, will be Jack Rutter. Sheffield-based Jack first graced the club's stage in January 2017 as part of Moore, Moss, Rutter, but since then his solo career has really taken off. Still in his mid-20s, Jack is a highly respected singer, guitarist and multi-instrumentalist making music within the British folk tradition. His debut solo album Hills, which is a collection of eleven traditional folk songs, has been received with across the board acclaim and recognition. Getting the evening underway will be up-and-coming Bristol-based singer-songwriter Ellie Gowers. With her “extraordinary voice” and strong Russian and Ingush heritage, Daria Kulesh has been making a name for herself as a “bold, exotic, impressive" performer. Mixing her Eastern roots with Western folk influences, she creates an original and exciting sound, full of passion and magic. Her debut release Eternal Child was described as “phenomenal” and her second album Long Lost Home has enjoyed rave reviews, national radio play and multiple awards in the UK and Russia, including LCM Album of the Year. Daria’s beguiling music is a gateway to a very little known, but stunning part of the world - Ingushetia in the Caucasus (south of Russia). This unique landscape (pictured left) is hardly known in Western Europe - but thanks to Daria its rich history and folk traditions are becoming more widely known. Through her mesmerising songs, people can discover this mysterious land and the story of the Ingush people - their language, culture and unique way of life that were nearly eradicated by Joseph Stalin in 1944. "The songs aren't just sung, but lived." (FATEA Magazine). A refreshing, uplifting, intriguing and thoroughly entertaining evening awaits all who come along. Comments from the Scottish tour: Duncan MacInness, SEALL at Sabhal Mor Ostaig, Isle of Skye: "Superb artistry - and very informative. Excellent blend of music, performance and insight into a period of history we were unaware of." Cornwallace, writing for TheNettle.scot from The Market Bar, Inverness: "Her voice was simply magnificent. Mesmerising and ethereal." Harry Wilson, Stirling Folk Club: "A spellbinding night last night with the amazing Daria Kulesh and Jonny Dyer. Some fascinating stories and songs. Daria's powerful voice was complimented expertly by Jonny's wonderful accompaniments."